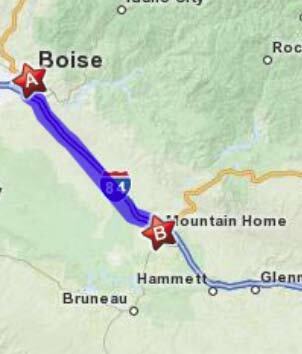 Mountain Home, population 15,000, is 40 miles south of Boise, the State Capitol of Idaho. It is also the home of the Mountain Home Air Force Base. The community is close to a multitude of recreational activities, including proximity to the famous Sun Valley, Idaho ski resort. Lakes, rivers, and nearby mountains provide many opportunities for hunting, fishing, and boating.